We live in Traverse City - we know that Snow Days are inevitable. Save your sick/personal days for when you really need them! Professor Qwbli's will host affordable Snow Day Camps every day school is canceled due to weather. These days will be filled with brain-boosting, laughter-inducing fun! 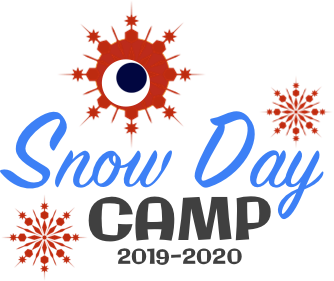 Our 2019-2020 Snow Day Camps are purposely designed to provide campers unstructured play. Research has clearly documented not only the staggering loss of time spend in unstructured play over the past several decades, but its importance to the development of the of our children. Unstructured play allows children the freedom to explore, create and discover without predetermined rules or guidelines. It’s been shown to foster cognitive development while boosting physical development and social and emotional development. It specifically helps creativity and imagination, problem-solving abilities and social skills. Our Snow Day Camps will provide a safe atmosphere and the developmentally appropriate resources for your kids to explore and let their imaginations run wild, while developing valuable, transferable 21-century skills. Full Day: $225 (5 Snow Day Camps) ONLY $45 per camp! If we have more than 5 Snow Day Camps, your child is guaranteed a spot. Professor Qwbli's will provide water. Parents are responsible for lunches, as well as snacks. Professor Qwbli's is a peanut free zone, so please pack accordingly.